£4.38 + VAT / pc. £6.39 + VAT / pc. £30.39 + VAT / pc. £4.63 + VAT / pc. £4.05 + VAT / pc. £7.31 + VAT / pc. 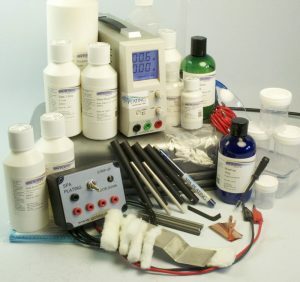 This Deluxe Gold Plating Kit for brush plating will set you up for the full range of top quality gold plating and contains everything you need to take on a wide range of plating jobs. The Gold Brush Plating Deluxe Kit includes 250ml of our Gold Plating Solution for brush plating which contains 8 grams of pure 24 carat gold per litre. The deluxe kit is built around our MF Rectifier. 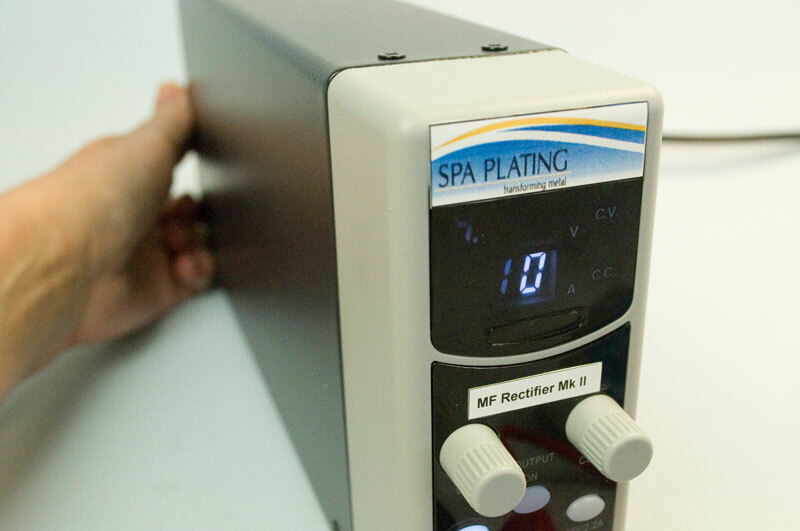 This is a multi-function rectifier and so can be used for brush, pen and tank plating. This kit includes one of our Plating Pens, so you will have the flexibility of being able to pen as well as brush plate. 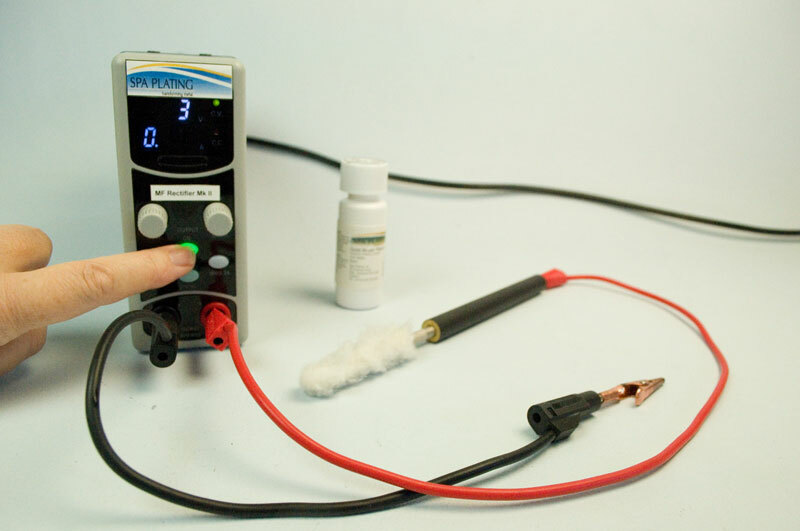 For a guide on how to set up your MF Rectifier for pen plating,please click HERE For our guide on how to set it up for brush plating, please click HERE. Selective gold brush plating is much quicker and easier with brush plating as it’s often unnecessary to spend time on lengthy masking out. 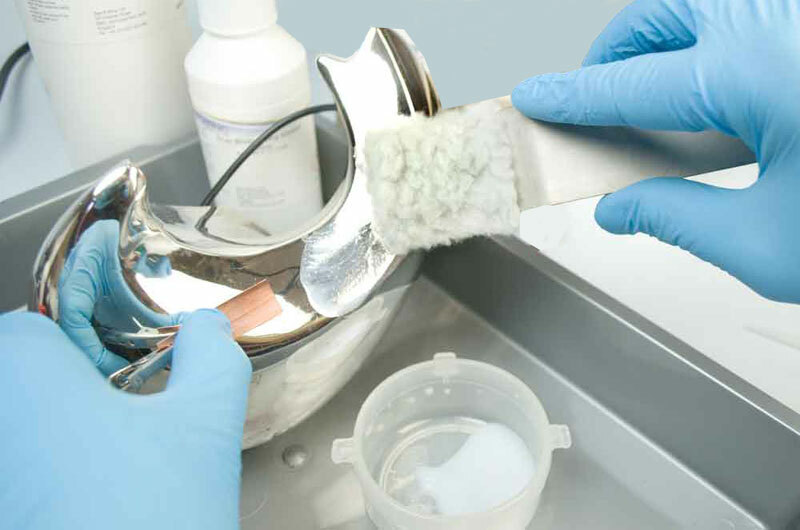 Click HERE to see a guide on gold brush plating in our Electroplating Manual. This kit (or any of our other kits, equipment or solutions) is not suitable for plating on to aluminium or titanium and therefore can’t be used to plate iPhones and other similar products. 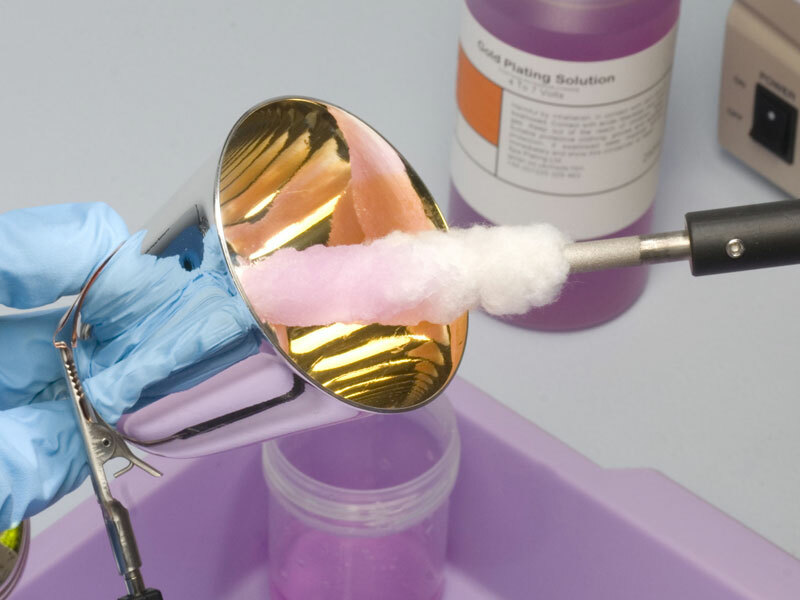 Brush plating means you can gold plate items ‘in-situ’, saving time and money. 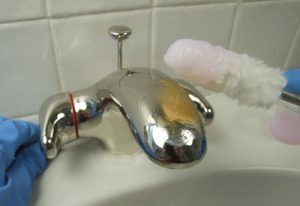 Follow this link to see the project on gold plating bathroom furniture ‘in-situ’ in our Electroplating Manual. We’ve included one of our Plating Pens so you can also selectively gold plate details on larger pieces. This greatly reduces the need for extensive masking out and speeds up the plating process. The Conductor Strip provides a larger area for conductivity, making the electrical contact more efficient and also avoids the risk of scratching which may happen by just using the crocodile clip for electrical contact. 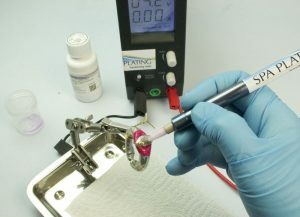 You can see some of our projects in our Electroplating Manual HERE on the many different applications of pen plating. The photo shows silver plating a copper sculpture using some of the silver plating solution which is included in the kit. This plating kit also includes one of our popular Flat Platinum Electrodes, a Flat Swab and a Flat Beaker so that you can plate larger areas more quickly and efficiently. 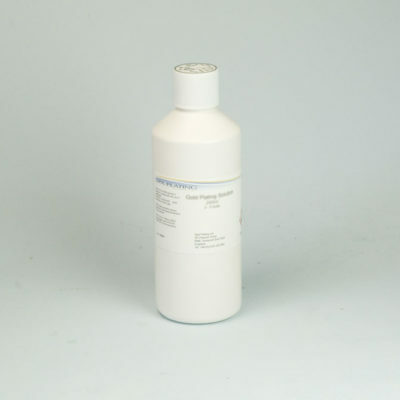 We have also included a litre of our Thickener, which gels your plating solution and prevents run off of your solution into the tray. This again, increases the efficiency of plating larger surface areas. 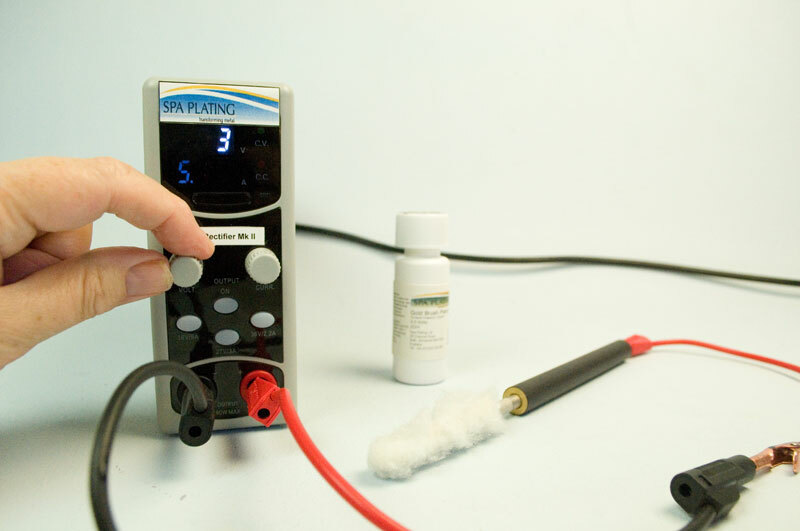 Follow this link to our Electroplating Manual to see a project which uses the Flat Platinum Electrode. All brush plating jobs (including chrome), small to large eg. 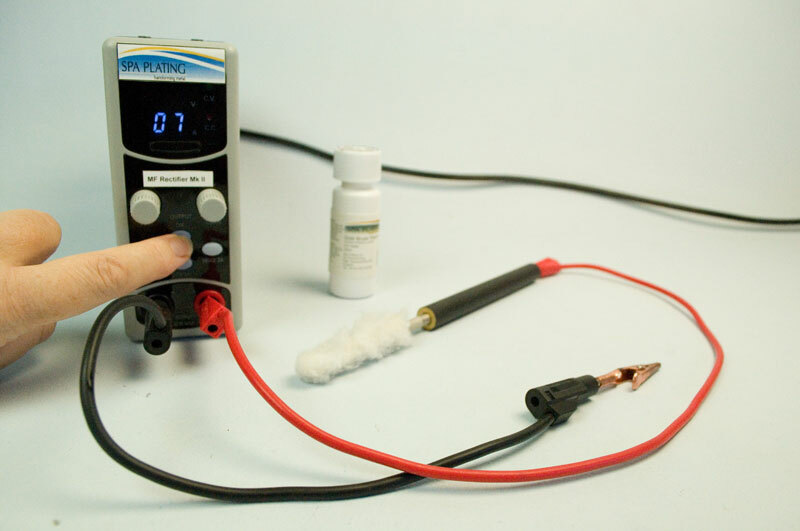 plating jewellery, sculpture, scientific/medical applications, car badges, mobile phones….When brush or pen plating, turn the amps up full and adjust the voltage to the recommended voltage. 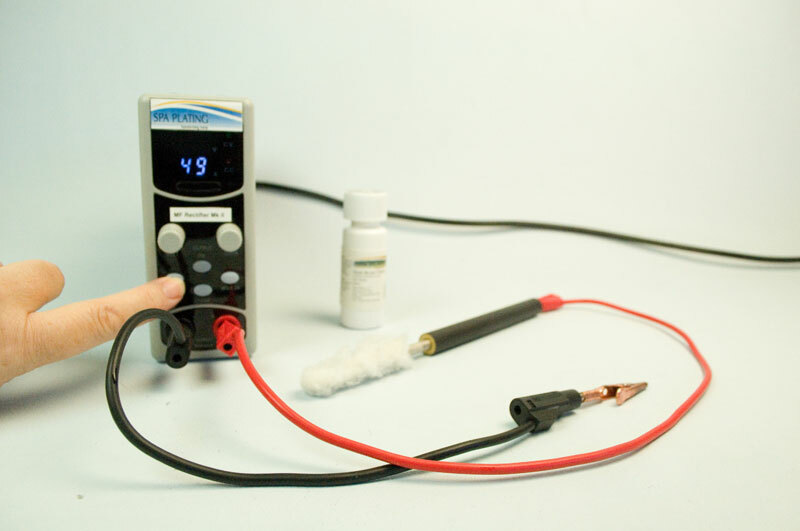 For full instructions for setting up your MF Rectifier for brush or pen plating, please see our guide by clicking HERE. (+ White Bronze Mixer = white bronze) Copper plates fast to create a beautifully lustrous finish. 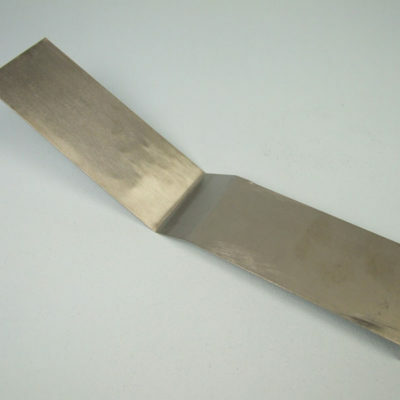 White bronze – plating a barrier layer between gold and copper or brass – useful when plating on non-conductive surfaces. Standard Swab x 3 – close stitched and a double layer of absorbent material Holds just the right amount of plating solution, which reduces wastage and saves time. Suitable for most medium sized plating jobs. Short Swab x 1 – half the length of the Standard Swab Ideal for small, one off plating jobs such as rings, where only a small amount of gold plating solution is required. Its reduced size means far less solution is absorbed into the swab, so it’s more economical. Extra Fluffy Swab x 1 – Soft, fluffy surface with a higher absorbency than standard swabs Its cushioned texture means it’s ideal for highly irregular surfaces, for example the repoussed or chased surfaces of antique silver plate – it delivers the plating solution into the depressions more efficiently.Great for plating on plastics and other non-metal surfaces as it builds the copper layer more quickly (it holds more plating solution which means less dipping is needed).Its softness means a gentle plating of copper onto the delicate layer of conductive silver ink. Removable platinum electrode which means the pen can be cleaned efficiently. Comes with a range of dicfferent electrodes, depending on which pen plating solution you’re using. For see the full range, please click HERE. MetaPrep Contains a highly efficient cleaning agentContains a polishing agent Removing the most stubborn of silicone and hardened waxes, particularly after mechanical polishing. Helps to brighten the surface of your work. For a full description and advice on polishing, please see our manual. Graduated up to 25ml in 1ml degrees for measuring out the Copper Plating Solution in preparation for mixing with White Bronze Mixer to create white bronze which is used as a barrier layer between brass/copper and gold. 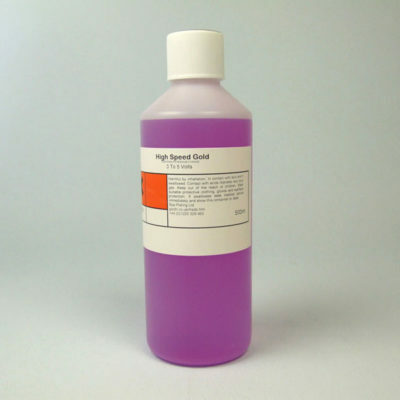 Measures out small volumes of solutions Used for measuring out White Bronze Mixer for making white bronze and transferring small quantities of gold pen plating solution from the bottle to the beaker. Set the maximum current (amps) by turning the “CURR” dial clockwise until there is no further increase in the amps. The meter should read about 5 amps. 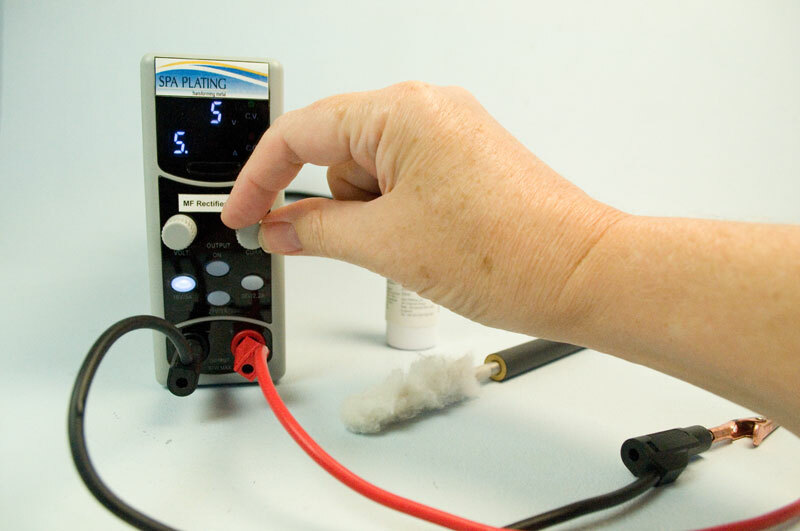 Set the voltage using the “VOLT” dial to the voltage quoted on your bottle of Spa Plating’s brush plating solution. When you are ready to start brush plating, press the “OUTPUT ON” button, which will change from white to green to show the brush plating circuit is powered. The “16v/5A” button will stop flashing. When the plating sequence is complete, press the “OUTPUT ON” button again which will change from green back to white, to show the brush plating circuit is powered off.